With the custom scene—and our team—spread across the globe, seeing the bikes we feature here in the flesh is a rare treat. Riding them, even rarer. 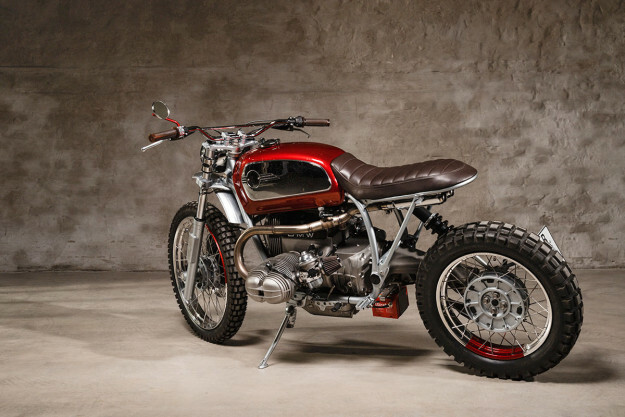 But walking around the ‘custom corner’ at BMW Motorrad Days in Bavaria earlier this year, there was one bike in particular that caught our eye. 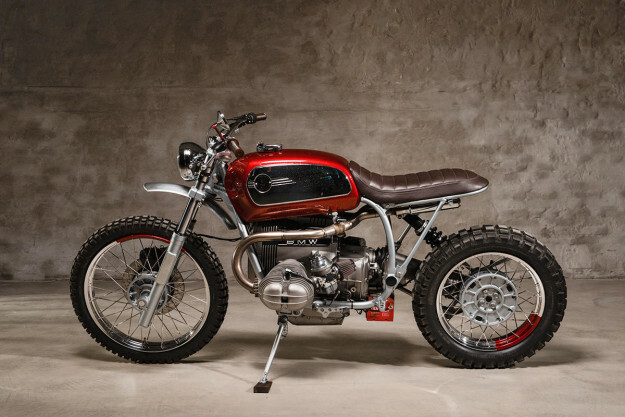 It was this striking red BMW R 100 GS, called ‘Six Nights,’ parked in Urban Motor’s tent. 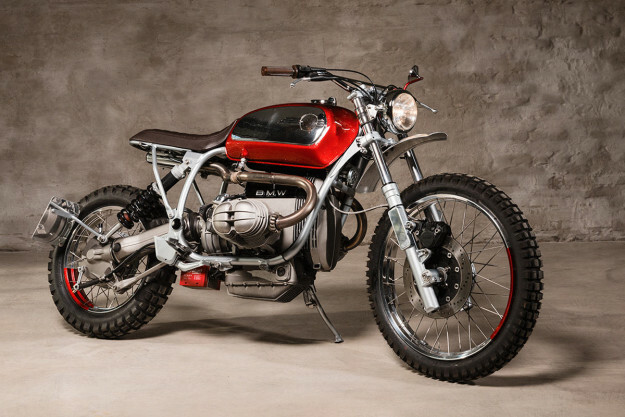 The R 100 GS isn’t quite as sought after as its R 80 G/S predecessor—but customizing one is still sure to have purists clutching their chests. Thankfully, Peter Dannenberg and the Berlin-based Urban Motor crew are perfectionists, not purists. They did keep some of its DNA, like the stock 21F/17R wheels, now shod with Continental TKC80s. But the BMW’s lofty stance has been noticeably tweaked. The front forks have been lowered a tad, and upgraded with Wilbers progressive springs, to match the new Wilbers shock at the rear. 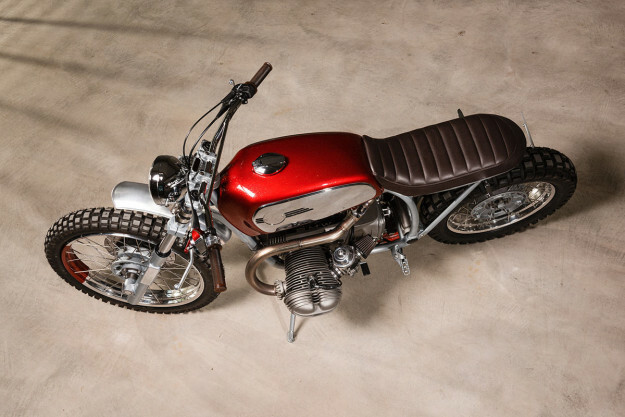 The awkward bodywork is all gone, replaced by a classic BMW ‘toaster’ tank and a bespoke leather seat. 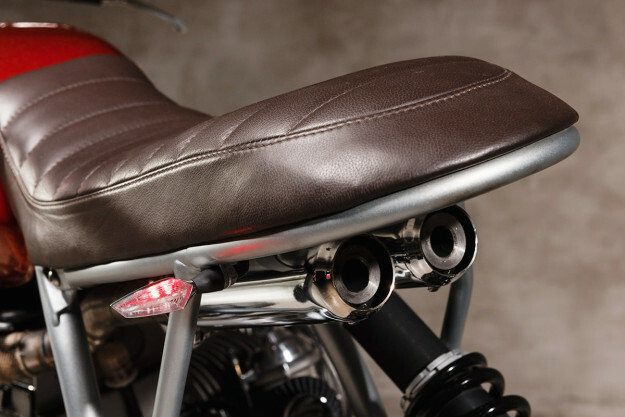 The new seat sits on a redesigned subframe, devoid of any passenger accommodations. And out front, there’s a hand-made alloy fender to keep muck out of the rider’s face. 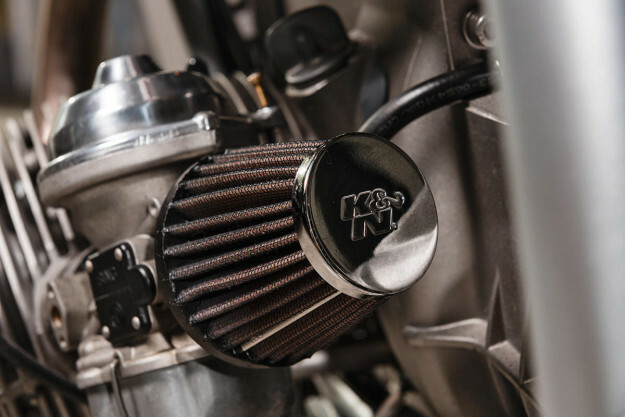 Moving to the engine, Urban Motor removed the airbox, fitted K&N filters and relocated the battery to behind the swingarm, swapping the bulky stock unit out for a Lithium-ion one. The exquisitely crafted stainless steel exhaust system is completely custom, exiting in twin silencers just below the seat. The bike’s new running gear is minimal, but still TÜV-compliant. There’s a 5½-inch headlight up front, and new prototype rear turn signals from Motogadget that double up as taillights. Other Motogadget kit includes their m-Pin turn signals (at the front) and the uber-compact Motoscope mini speedo. 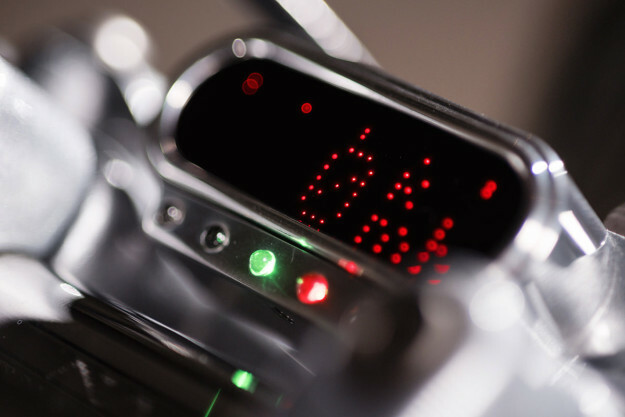 The guys have also installed m-Switch handlebar controls—all mounted on the left, and covering everything from the starter to mode changes on the speedo. The rest of the cockpit is equally clean, equipped with Tommaselli dirt-bike bars, Ariette grips, a Domino throttle and Magura levers. The brake master cylinder is a BMW /7 unit, hiding under the tank, and the lines have been upgraded to braided Stahlflex items. Finishing off the controls are the foot pegs from a newer GS. Urban Motor picked a more vibrant color scheme than we’re used to seeing from them. The tank’s been painted in a stunning red sparkle by Sven van den Brandt, echoed on the wheels and the single mirror stem. But the rest of the bike’s finished in raw and silver tones, punctuated by carefully selected bits of chrome. 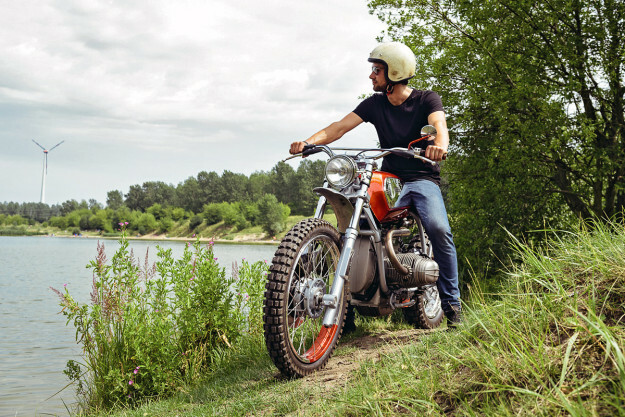 According to Peter, the goal was to make this R 100 GS “light, flashy and pretentious—but still a hell of a ride.” And he succeeded: it turned heads and had us grinning when we blasted it through the streets of Garmisch.